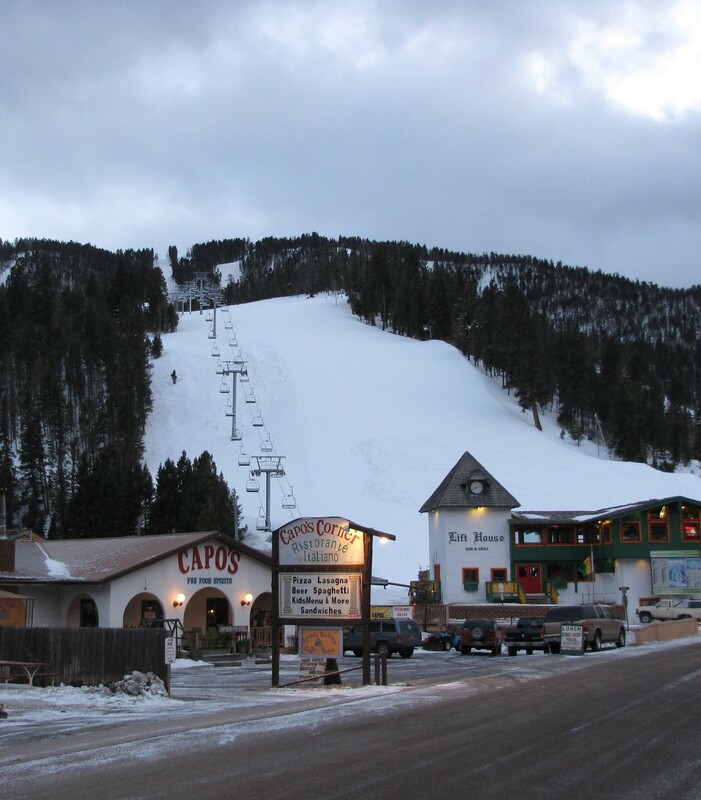 Red River Ski Area bills itself as "Ski Town of the Southwest." The whole town looks like a stage set from a favorite Western movie and - no surprise - is popular with vacationers from Texas and Oklahoma. The area has exceptionally easy access from town, with one chair rising a block off Main Street. Its terrain is mostly beginner and intermediate, but some people here avoid powder like the plague, so it can have some surprisingly good days for advanced skiers or boarders. Lots of excellent ski-stay deals for families. Toughest run: Catskinner. Basic restaurants, a couple of great old-fashioned saloons with live Country & Wwstern bands on weekends and holidays, and one-of-a-kind shops located nearby on Main Street. Eighty-seven percent snowmaking.